Chiefs safety Daniel Sorensen will miss the start of the 2018 season after undergoing surgery to repair a tibial plateau fracture. “One of the guys fell on his leg,” Chiefs coach Andy Reid said. The injury is similar to the one suffered by J.J. Watt last year, causing the Texans defensive end to miss the rest of the season. That may be Sorensen’s fate, too, but Burkholder said the Chiefs plan to wait six weeks before evaluating him again. “He’ll be up here today starting his formal rehab with us,” Burkholder said. 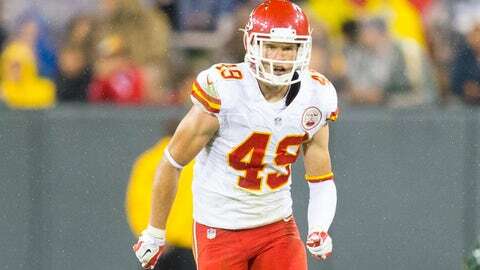 Sorensen became an invaluable part of the Kansas City secondary when Eric Berry went down with a season-ending injury last year. He went on to start 14 of the 15 games he played, picking off a pass and piling up 88 tackles while assuming a leadership role in the Chiefs’ secondary.